Protectant helps treat and prevent rash associated with diaper use or continued exposure to feces, urine or both and helps seal out wetness. 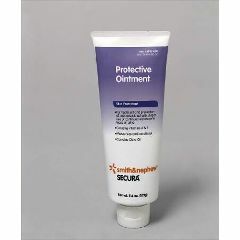 AllegroMedical.com presents The Secura Skin Protectant. Protectant helps treat and prevent rash associated with diaper use or continued exposure to feces, urine or both and helps seal out wetness.